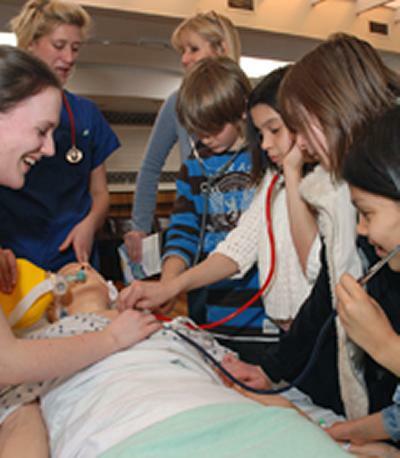 The University of Southampton’s award-winning Science and Engineering Day and Ocean and Earth Day are back again in 2010 for National Science and Engineering Week (12 to 21 March). The University of Southampton and the National Oceanography Centre, Southampton are celebrating this exciting occasion with a variety of free events and a programme of events for schools. Last year, the University’s Science and Engineering Day was voted the UK’s best engineering event during Science and Engineering Week. This year it takes place at the Highfield Campus on Saturday 13 March, with fascinating exhibitions, interactive displays, talks and shows from 10.30am to 4pm (last admission 3.30pm). Solve a murder mystery in our Blood on the Library Floor event. Ocean and Earth Day will be held at the National Oceanography Centre, Southampton (through Dock Gate 4) on Saturday 20 March from 10.30am to 4pm (last admission 3.30pm). Visitors will have the chance to visit the aquarium, operate an underwater vehicle, take a close look at fossils and sealife, take part in a range of exciting hands-on activities and even get the chance to visit a working research vessel - RV Callista.